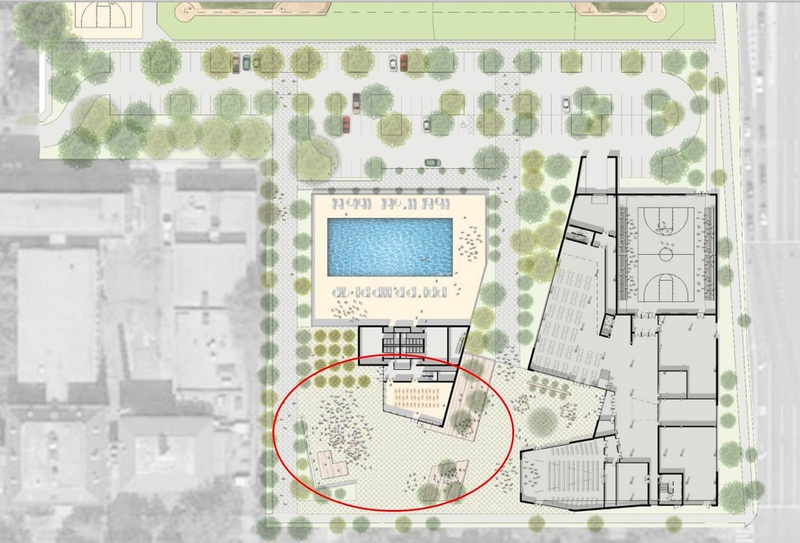 KIPP DC has released some renderings of "Randall Square," a public area near the proposed recreation center they would build as a part of their push to build a charter high school on the site of Randall Recreation Center at the corner of South Capitol and I streets. Their unsolicited proposal to lease land owned by the District to build a school and replacement recreation center has been controversial. Land Collective has designed the public space, the same team that designed Canal Park over in Near SE. Randall Square would be along I Street roughly where the current forlorn plaza is located. A stage would be built to allow performances that will be visible from the street as well as the square. 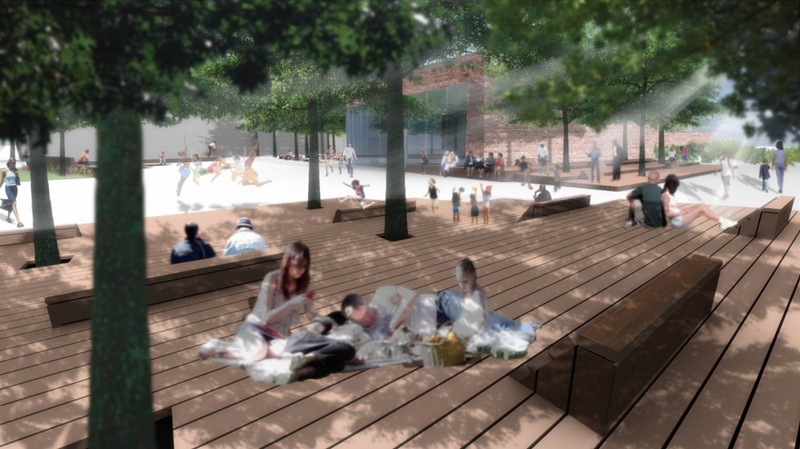 The wood ribbon benches proposed near the entrance to the recreation center are similar to the ones that have been installed at Canal Park. A tree-lined path will lead from I Street to the ball fields. 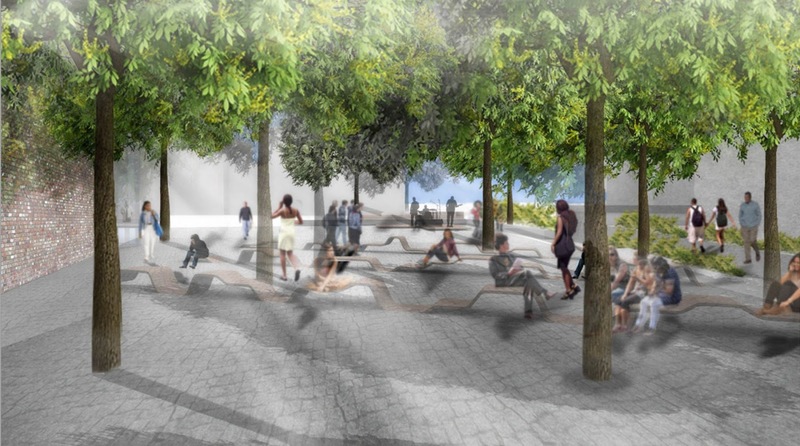 On the east end of the square, public seating would be available that faces the stage. The platform upon which the seating would be located is set among a grove of trees. 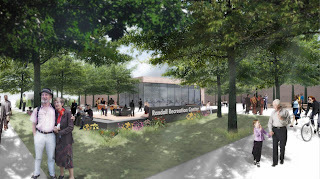 There will also be a pathway on this side of the square from I Street to the ball fields. A million schools in DC, many closed - and they want to build ANOTHER brand new one, on prime property. I'm missing the logic in this! 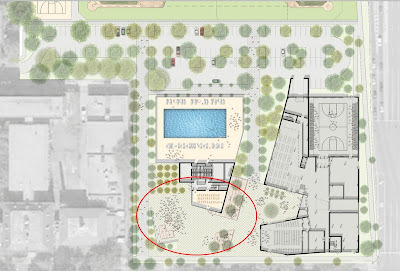 If all the community gets is a re-done rec center, no thanks. There is NO economic impact from having a high school in our neighborhood. I welcome KIPP, just not in that location! What about SEU? 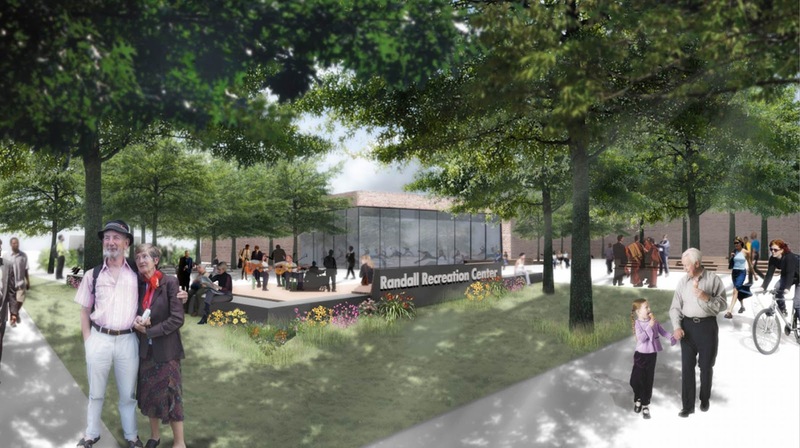 Randall Rec area is perfect for mixed used development or at the very least, the city can pay Land Collective to do a watered down version of the discussed renovations. A high school takes ZERO steps forward for SW.